Urban Girl Mag | Newark Arts Festival Kicks Off Today! Formally known as Open Doors, the Newark Arts Festival is underway this weekend and starts tonight with a swanky opening reception. This weekend is packed with spotlight events for the festival. Things kick off in style inside the atrium of the historic Hahnes & Co. building. Special guests are expected including Green Leaf actress and Newark native, Kim Hawthorne, as well as Mayor Ras J. Baraka. Proceeding the kickoff all weekend there will be a plethora of arts based events throughout the city. 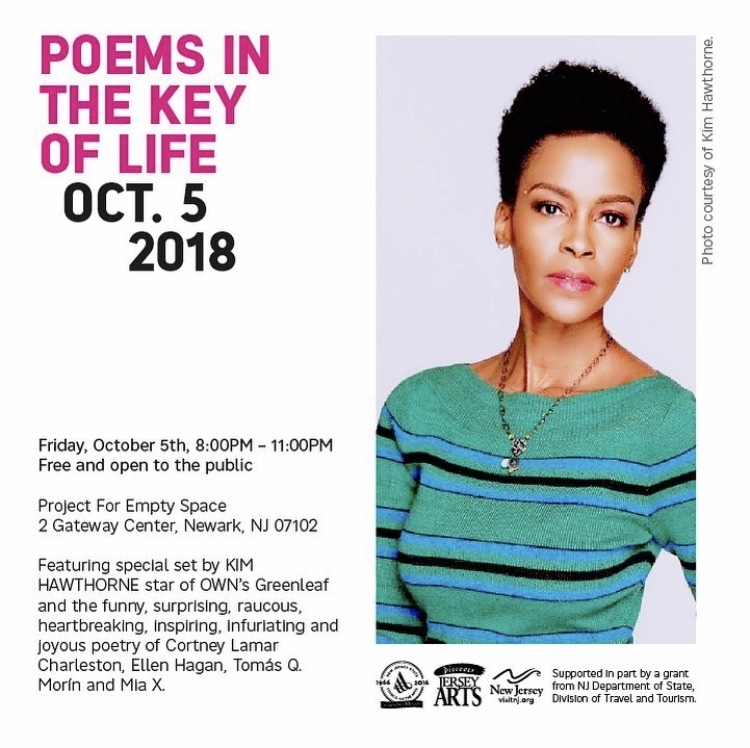 Tomorrow night Actress Kim Hawthorne will be featured in a special set in the Poems in the Key of Life program happening at the Gateway Center downtown Newark. There will also be a special edition of the Brown Girls Bar Crawl, hosted by Lauren Craig. Parents there is no need to feel left out. There are events for the kids as well. The Open Doors Kids installation offers events specifically for kids. For example there’s the ‘Pint Sized Print Club‘. In conjunction with the Newark Print Shop (54 Halsey street) you can drop off your preschool aged child to the print shop where they will learn the art of screen printing. Check out the rich artistic existence within Newark by stopping by some of the FREE Newark Arts Festival events this weekend! See you there!